Israeli soldiers abducted, on Monday and Sunday, six young Palestinian men from the besieged Gaza Strip. The Israeli army stated that the soldiers arrested, Monday, a young Palestinian man, who reportedly “breached the perimeter fence with Gaza. The army claimed that the soldiers also located a knife with the Palestinian, who was moved to an interrogation center. 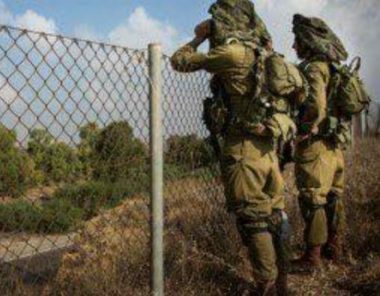 On Sunday, the soldiers abducted five young Palestinian men, who also allegedly crossed the perimeter fence. The five Palestinians were also moved to an interrogation facility. The names of the abducted Palestinians remained unknown at the time of this report.